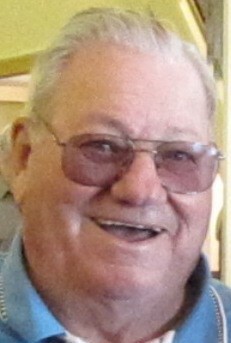 Age 85, of Plymouth, passed away at home on January 30, 2019 of lung cancer. Born February 5, 1933 in Crown Point, IN. He was a graduate of Xavier University, a proud Marine veteran and retired after a 30 year career as a National Sales Manager in the corn refining industry. Preceded in death by parents, Clarence and Matilda Geisen; sister, Anna Mae Brannon, and daughter, Catherine Geisen. Papa Chuck was a generous man who dearly loved God and his family. He blessed his family and others in so many ways. Survived by loving wife, Muriel (Mickey), of 63 years; children, Karen (Brian) Palmer, David (Kathleen) & John (Maureen); 10 grandchildren & 6 great-grandchildren. Mass of Christian Burial on Monday, February 4, 2019, at the Holy Name of Jesus Catholic Church, 155 County Road 24, Medina at 11 am. Visitation at 10 am with a graveside service of interment & luncheon following the Mass. Memorials preferred to Cristo Rey High School or Ascension Catholic School.